Porthcawl Runners – Come Play with ……. 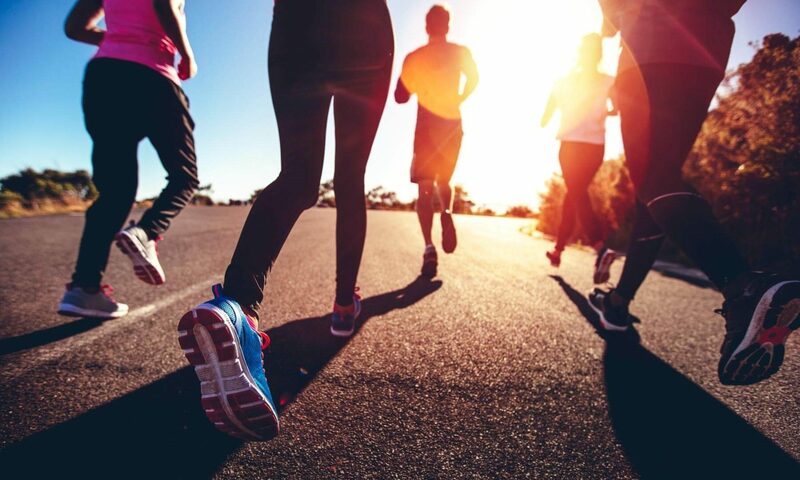 Porthcawl Running Club is not just full of members who like to take running to the next level, but it is full of runners of all shapes and sizes who turn up just to make new friends, chat and enjoy themselves in order to improve health, fitness and confidence! We provide a fun, social, non-competitive environment, but our dedicated Welsh Athletics coaches are also serious about assisting individuals and improving team performances to make Porthcawl Running Club the #1 Running Club in the Porthcawl and Bridgend area. We are always on the lookout for members who will help us get there – from beginners to improvers to serious top level performers. We’d love to meet you and encourage you to achieve your personal targets and goals! We cater for road running and cross country / trail athletes, male and female of all abilities. So, whether you are interested in a Saturday morning Parkrun to tackling a Marathon, we can help you to fulfill your potential with dedicated training and having plenty of laughs, every step the way. Remember, the opportunity is there for all – nobody is left behind and everyone will challenge and amaze themselves with what they are capable of achieving. Read on to learn more about our recent team activities and complete the contact form if you require more information. Everyone wants to be #1… but we already are. Porthcawl Running Club is the best Running Club for fun in the Porthcawl and Bridgend area. How do we know? Because we say so! And if we’re that passionate about our team’s drive, skill, passion and sportsmanship, then nothing else matters (except, of course, your support). Check out the members who make up our winning team and the people who coach them to perfection. Many people who are new to running or new to joining a club may have some questions. Here are a few of the regular questions we get asked: For any more information, or to receive an application form to join, please use the contact form below. We train Every Monday and Wednesday evening from 6:30pm. Some members then join in the fun on Saturday morning Parkrun on the seafront, and there’s also, the Sunday morning long run for the ‘Chatty Social Members’ and the dedicated elites. We meet for training at Porthcawl Rugby Club (CF36 3DA). Then, depending on your ability, we follow a number of routes around the Porthcawl area. We try and make the routes as scenic and varied whenever possible. We now have 10 dedicated coaches that are there to help. If you have never run before, we offer a Couch to 5k training programme every couple of months. The best advice is turn up and speak to one of our friendly coaches, who can assess your individual needs. You DO NOT need to join Porthcawl Runners in the first instance. Come and see who we are, come and run with us, come and chat with us. You are more than welcome to try before you buy. It’s a members club, run by the members, for the members. If you have never run before but want to, our club is a great way to get started. If you would like to join our Couch to 5k sessions fill in the contact form below and we will send you the details. Porthcawl Runners celebrated another memorable year at their AGM and awards night which was held at the Fairways Hotel last Friday. It has been another record-breaking year across the board for the club, which continues to go from strength to strength, while also reporting a record membership of 153 by years end on March 31. There has been plenty of success along the way and much of that was noted on what was a memorable evening. It was no surprise when the top male and female awards once again went to the club’s two premier runners, both retaining those titles. Rocket man Dave Bennett picked up the male gong again after another excellent year for him, which included winning the vet 45 category in the West Glamorgan Cross Country League as well as taking the Porthcawl parkrun men’s points crown for 2018. He has since followed that up with a quite scintillating 1:28:25 at the Llanelli half last Sunday, only 25 seconds outside the New York City qualifying time. Deb Roberts continues to lead the way for the ladies and she is again top female after another catalogue of achievements that include representing west Wales at the UK Inter-Counties Cross Country Championships held in Loughborough. Deb retained the Porthcawl parkrun female points winner award she also won in 2017, as well as bagging the first female vet and second senior female prizes at the Run4All Neath Santa Run. She was also third overall female and F45 winner in the West Glam. But there were plenty of other awards, too. Mark James was the club parkrun male champion for the second year running with Skye Ford bagging the female honour. Gemma Haworth was most improved female while Nick Lewis received a standing ovation when he was named most improved male – just a matter of months after taking up running with the Couch to 5k. A glut of PBs have followed for him. The selfless contributions to the club of Steve Picton and Lucy Jones deservedly earned them the club man and woman of the year titles respectively, and the same can be said for coach Gareth Roper – whose patience, advice and guidance to runners over many years was recognised with the chairman’s award. There was a three-way tie for Runners’ runner of the year. The club were split and the honour was shared between Lucy Jones, Janet Davies and Kerry-Dare Edwards. As well as individual recognition, the club’s continued team success in both the Bridgend County Running League and West Glam was noted with the men, led by Wilfy Edwards, topping Division Two in the West Glam. They will be dining at the top table in Division One as a result next season. There was also a special nod given to those runners who completed all six BCRL races in 2018. Those were: Janet Davies, Skye Ford, Steve Picton, Juliet Picton, Barry James, Karen Phillips and Michele Watkins. The BCRL time-adjusted handicap winners were Jeff Thomas and Rachel Louise Hopley. That was also the case for members who ran in all five West Glam races during the 2018/19 season. Those were: Deb Roberts, Dave Bennett, Geraint Lewis, Wilfy Edwards and Rob Slaughter. The West Glam time-adjusted winners were Dave Bennett and Gemma Haworth. The formal business of the evening saw chairman Gareth Mole, secretary Toni Cosson and treasurer Alwyn Thomas all re-elected in their respective roles while the night also helped raise in excess of £1500 for suicide prevention charity Papyrus. The various award winners were as follows: Top male: Dave Bennett; Top female: Deb Roberts; Most improved male: Nick Lewis; Most improved female: Gemma Haworth; Parkrun male champion: Mark James; Parkrun female champion: Skye Ford; Chairman’s award: Gareth Roper; Clubman of the year: Steve Picton; Clubwoman of the year: Lucy Jones; Runners’ runner of the year: Lucy Jones, Janet Davies and Kerry-Dare Edwards. BCRL time-adjusted winners: Male: Jeff Thomas. Female: Rachel Louise Hopley; West Glam time-adjusted winners: Male: Dave Bennett; Female: Gemma Haworth. The weather couldn’t have been more perfect for the Porthcawl Runners, as they descended on Llanelli parkrun for their first tourism run of the 2019 season. Showing off their brand new kit, over 30 members lined up on the starting line, ready to show Llanelli what spirit hides within. A memorable run saw many individuals having 5k PB’s, before going on to tuck into some tasty rolls served from the Pavilion cafe. All members were grateful, to the amazingly warm welcome they received from all the staff and marshall’s at the Llanelli coastline course. Look out Llanelli, we will be back with a vengeance.